France tries to have an edge over Turkey with the so-called Armenian genocide, has been dominating Africa and 20 other countries since 1524. France, with its colonial occupations launched in 1524, dominated more than 20 countries in the western and northern Africa. Thirty-five percent of the continent remained under French occupations for 300 years. Senegal, Cote d'Ivoire and Benin were used as a hub for the slave trade during that time and all resources in the region were exploited by France. Revolts in the countries struggling for independence were violently suppressed during France's five-century colonial period. 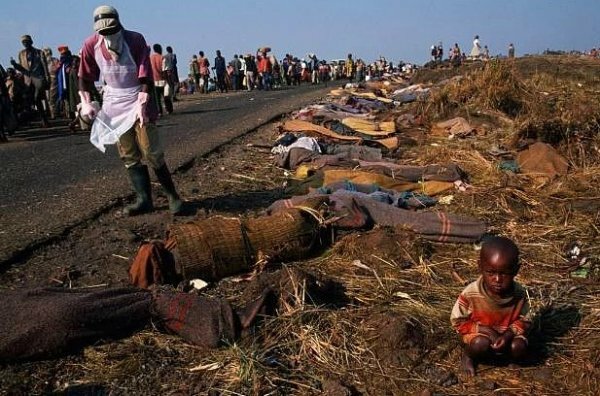 More than 2 million Africans lost their lives. Thousands were killed by French soldiers during demonstrations launched by Algerians who fought in French fronts with the promise of independence shortly before the end of World War II. During the course of the struggle for independence, 1 million people were killed and hundreds of thousands were injured, went missing or were forced from their homes. Violence on Algerians continued systematically with the Setif and Guelma massacres in 1945 to July 5, 1962, when the country declared its independence from the colonial rule. Since 1830, Algerian society has been exposed to cultural genocide. France transformed many cultural and religious sites in Algeria. 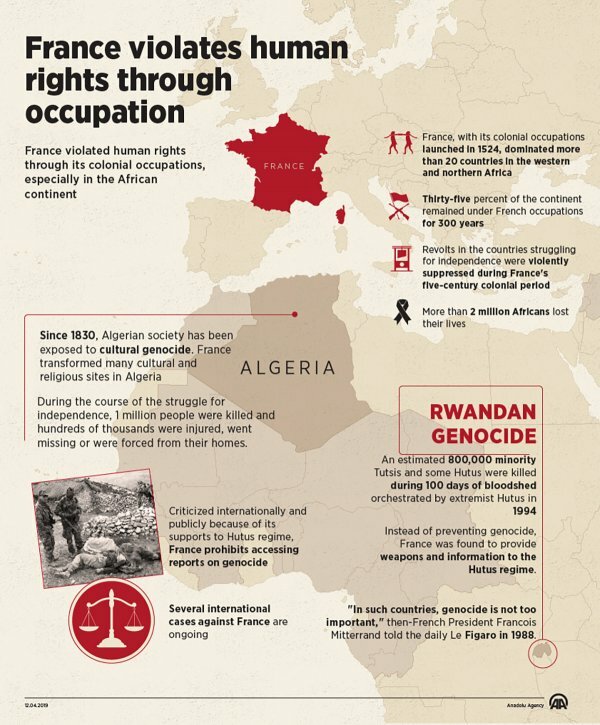 Since its independence, Algeria has repeatedly asked France to acknowledge its colonial-era crimes. France carried out major human rights violations in countries where it has political influence. 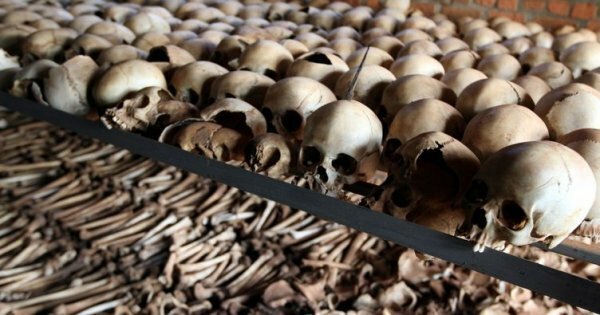 The country played a role in the 1994 Rwandan genocide where 800,000 people were killed. Instead of preventing genocide, France was found to provide weapons and information to the Hutus regime. "In such countries, genocide is not too important," then-French President Francois Mitterrand told the daily Le Figaro in 1988.